Thanks for the replys, but the hinge point on me buying this camera was the built in GPS for data overlay. I don't care to watch action cam footage without that context. Since this software failure I have been pushed to explore options and I just learned something very interesting since posting. Apparently the Garmin Virb software will not only work on my PC ( something GoPro does not) but it also accepts video from other camera's like the GoPro! And for those that have not used the data overly feature Garmin's implementation is night and day better than what GoPro does. 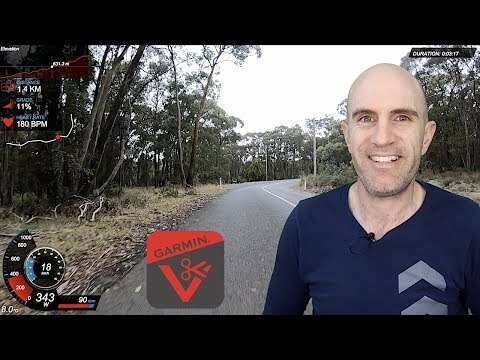 Also for those of you that are also using a garmin watch or edge for recording data from your activities you can stitch that together with the GoPro video pretty easily. So actually I couldn't be happier that Go Pro has fallen on its face here. In the short term I am officially migrating software from GoPro "Fast" to Virb Edit. Not sure if I will be returning the GoPro camera since I have a working solution, but my next cam purchase will be a Garmin just to say thank you to them for having their act together on the hardware and Software. Here is a good how too tutorial for getting started. One more detail that is difficult to come by. The Virb camera's actually record in air motion data that the Garmin activity trackers and GoPro camera's do not (as far as I can tell). So G-Metrix screen overlays like number of jumps, Jump distance, hang time, rotations,... are not available overlays when using the GoPro footage in the Virb edit software. Thanks! This worked great for me. I have a Microsoft Surface Book and kept get the "not responding" message when trying to view or go to create mode with a video. When I follow your instructions and run with the "integrated" option everything seems to work fine. Thanks, that finally worked for me. Had the same issue with the program on a new Surface Book running Windows 10. Tried the below and the program now works perfectly.